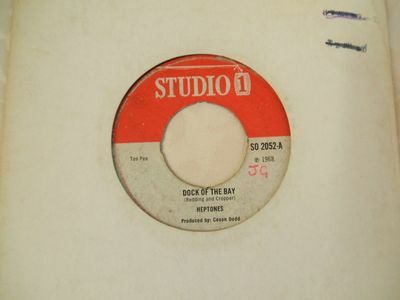 Here we have The Heptones 'Dock Of The Bay / Rocky 'The Ruler' rare single on UK Studio One 2052 from 1968 in good condition, has a few surface marks & scratches but plays ok with some surface noise but no jumps or sticks, initials written on A side label otherwise both reasonably clean, plain sleeve. Great reggae version ! Paypal, personal cheque accepted, will combine postage on multiple buys. Any overseas bidders outside the EU please request postage costs.